As nimble pioneers of light-emitting diode technology, Will Reed and John Renn devised a practical commercial use for LEDs in a machine that created photo contact sheets for consumers. But when the Facebook generation moved from film to digital images, demand for contact sheets and the machine that made them plummeted, leaving Reed and Renn scrambling to reinvent their Seattle business, Express Imaging Systems. Applying their expertise in manipulating the properties of blue LEDs, they developed another practical application: a highly efficient, low-energy, longer-lasting, equally bright replacement for the mercury vapor streetlights commonly found in rural areas. Their products, the Clearlight Beacon and its successors, not only use less energy and eliminate the use of hazardous mercury, but solve the weakness of the photosensitive control that turns the light on and off. They also earned patents on the technology. In doing so, they have reduced utilities’ need to roll expensive bucket trucks when the control dies or customers don’t pay their light bills, and they’ve gained a competitive advantage. “We chose a niche that posed a technical challenge that we are proficient at, a market that was ready to transition because of government mandates and one that had not attracted a lot of the big players,” says Keith Miller, CEO of the new Express Imaging Systems division called Evluma. Evluma is one of a number of local companies focused on the fast-growing LED sector. Other prominent players are Auburn-based Vision X Lighting, which produces customized LED lights for specialty vehicles, and Next Lighting, which is based in San Francisco but plans to manufacture LED lamps for offices and warehouses at a facility in Woodinville. For Evluma, the jump from photo printers to replacement lighting wasn’t as simple as unscrewing one light bulb and replacing it with another. Early retrofits from other manufacturers failed to deliver, giving retrofits a bad reputation. The high costs of blue LEDs and their manufacturing process also made the replacement lights expensive. Evluma, founded in 2005 with private equity backing from Crescent Capital Group, deftly navigated these challenges and now is poised to triple its manufacturing space, rocket its revenues and cash in on a niche major players have ignored. They analyzed their customers’ needs and created the Clearlight, which allows utilities to unscrew the old light and screw in the new one, wiring around the ballast if desired. Evluma’s marketers tout the light’s energy savings — Clearlight uses 40 watts as opposed to 100 to 175 watts. Its earth-friendliness and the fact that less light leaks out to annoy neighbors and light up acres that don’t need it are a bonus. “Then we spent a summer going out at 10 p.m. with utilities asking what they thought,” Miller says. “They said the lights were great if you were standing underneath them, but what their customers really wanted was some uplight so they could see the streetlights from far away so they could say, ‘I’m the third light on this gravel road.’” A little tinkering later, Reed and Renn created a second product, the AreaMax. Rolling a bucket truck to fix a failed photocell on a mercury vapor light or high-pressure sodium light mounted high on a utility pole costs utilities roughly $350 an hour, Miller notes. Evluma’s technology allows utilities to turn a light off from the ground if a customer fails to pay the bill. 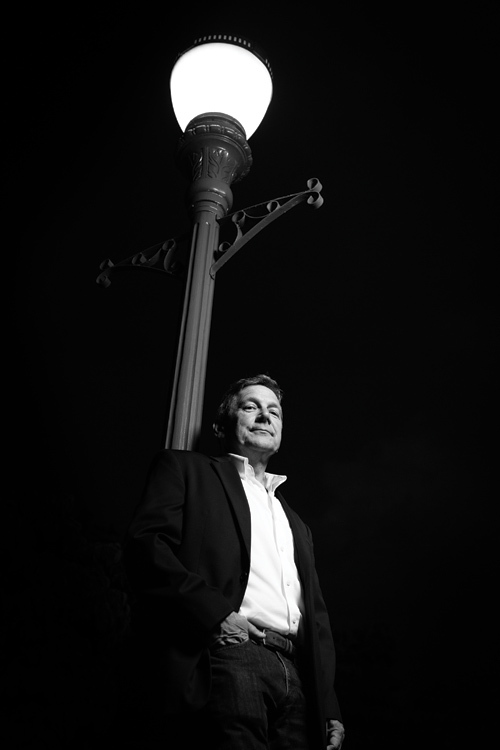 “I suspect the big guys will want to license the technology from them,” says Hayslip, who is replacing rural security lights with the $200 AreaMax as the mercury vapor and high sodium lights fail, rather than undertaking a wholesale replacement. Evluma faces competition from large players such as GE Lighting, Acuity Brands and Cooper Lighting, according to Jesse Foote, senior research analyst covering lighting for Navigant Research in Boulder, Colorado. But, he adds, there is a lot of room for small players in the retrofit market, which he expects to grow from 5 percent of lamps worldwide in 2013 to 40 percent in 2017 and 63 percent by 2021. Miller is aware of the small window of opportunity, which is one reason the company is implementing lean manufacturing practices in a new Renton facility that triples its production space. The other reason is that more products — and patents — are in the works. Evluma sold more than 12,000 AreaMax fixtures in 2013 and continues to grow rapidly. Miller expects to add to his staff of 25 with the late July move.